In November 2012, the US Food and Drug Administration (FDA) approved tofacitinib (Xeljanz; Pfizer) for adult patients with moderate-to-severe rheumatoid arthritis (RA) who do not adequately respond to or are intolerant of methotrexate. Tofacitinib is a Janus kinase inhibitor that is administered orally, at a dosage of 5 mg twice daily. The drug was approved under the FDA’s priority review process. Tofacitinib was evaluated in 7 clinical trials with adult patients with moderate-to-severe RA. In all of the trials, the patients receiving tofaci­tinib showed improved clinical re­sponse and physical functioning compared with placebo. “Xeljanz provides a new treatment option for adults suffering from the debilitating disease of RA who have had a poor response to methotrexate,” said Badrul Chowdhury, MD, PhD, Director of Pulmonary, Allergy, and Rheumatology Products in the FDA’s Center for Drug Evaluation and Research. The most common adverse effects included upper respiratory tract infections, headache, diarrhea, and inflammation of the nasal passages as well as the upper part of the pharynx. In the clinical trials, tofacitinib was associated with an increased risk of serious infections, including opportunistic infections, as well as tuberculosis, some cancers, and lymphoma. Therefore, the medication carries a Boxed Warning related to these potential risks. In addition, treatment with tofacitinib is associated with increased cholesterol levels and liver enzymes, as well as decreased blood counts. 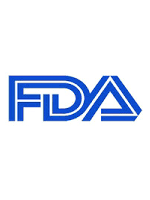 The FDA approved tofacitinib with a Risk Evaluation and Mitigation Strategy program requiring safety information on the drug’s package insert label to advise patients and inform healthcare providers about the serious risks associated with the drug.